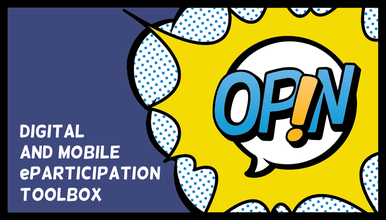 The new OPIN pilots have just started their eParticipation projects across Europe. In the upcoming months they will involve youngsters in various diverse activities on local, regional and national levels, bridging the gap between youth and decision-makers. At the same time they will intensively use and test OPIN. In the following we will introduce four further pilots from Cyprus, Georgia, Italy and Slovenia. The Youth Board of Cyprus is currently working on the National Youth Strategy and its Action Plans. Through online and offline participation it will involve youngsters throughout the process of developing and implementing it. OPIN will be used to include a wider audience of teens and young adults between 14 and 35 years. Through its idea collection and commenting features as well as mobile polling, youth will be consulted to ensure that the Action Plan will reflect the ideas, needs and aspirations of the young people. To increase the visibility of the processes on OPIN, the project will hold a press conference followed by a joint meeting of youth representatives and state stakeholders as a kick-off event. The project by the Children and Youth National Center aims at promoting youth participation on the local level. Their objective is to empower youngsters between 19 and 25 years to become agents of change by providing them with space, means, capacity and opportunities. During workshops they will gain competences, learn about their rights and opportunities. Furthermore, they are encouraged to develop own project ideas in groups and publish the proposals on OPIN. In two phases they will be discussed by other youngsters, representatives of the municipality and members of the local community and subsequently revised by the group. In the last phase, the final proposals will be voted on. After the participation process, youngsters will meet with local officials and NGOs to discuss their project ideas. The most popular and feasible project ideas will be submitted to municipal meetings. This project by a school in Milan is about testing the practice of a hybrid Participatory Budgeting in a school field. This cultural project aims to involve students between the ages of 15 and 19 years in a decision-making process, which is related to their every day life. Together with their teachers, they will be engaged in proposing, discussing and selecting the top priority projects for the community to be funded and realized with the support of the school. In all stages OPIN will be utilised to extend the discussions beyond the school time and space. Recently an initiative of youth in the Slovenian municipality of Lukovica achieved to establish a youth club that will represent the voice of youngsters to the local decision-makers and help them to start own initiatives. Through OPINs mobile polling feature young people living in the area will be consulted on how this youth club should operate, which activities it should carry out and which events it should organise. With the help of OPINs idea collection feature, youngsters can share their wishes for the use of an unused event hall and the creation of a trim trail. 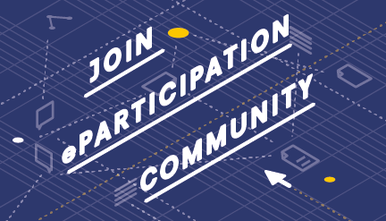 Additionally, a proposal for the Local Strategy for Youth will be drafted collaboratively on OPIN. The municipality aims at using OPIN also in the future as a means of consulting and involving youth in decision-making.